Beginning Runner Class Starts Monday Sept 23rd! Do you, or someone you know, want to get into running? We have just the group for you! 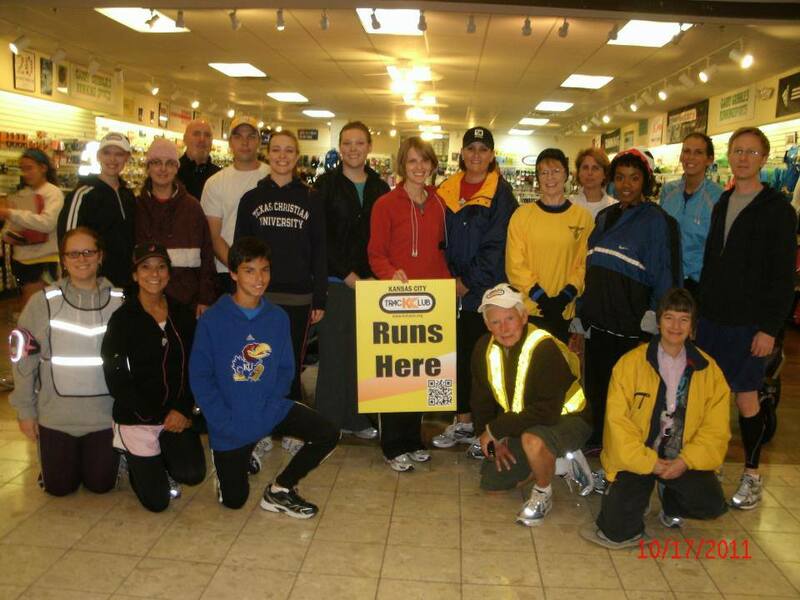 It’s a fun and informative beginning running class. Lou Joline is gearing up to teach his beginning running course starting at 5:45 p.m., Monday, Sept. 23 at Garry Gribbles Running Sports Store in Ward Parkway Center. The best news is all you have to do is join Kansas City Track Club for $20. Membership fee includes a free running shirt and a 20 percent discount at any Garry Gribble location. will begin a short run together. The class meets for 10 consecutive weeks and increases its mileage a bit each week. half marathons and beyond. And, the best news is: it’s FUN! We’d LOVE for you– or some of your friends — to join us! Go to the “Become A Member” link in the right side bar of this website to join KCTC!